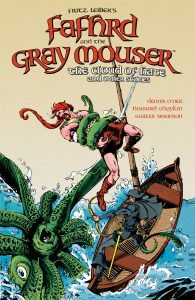 First appearing in the intervening period between the time Conan first strode the plains of Cimmeria and Elric embraced Stormbringer, Fafhrd and the Gray Mouser, while not as well-known as their more famous literary brethren, share their place at the top of the fantasy genre food chain. 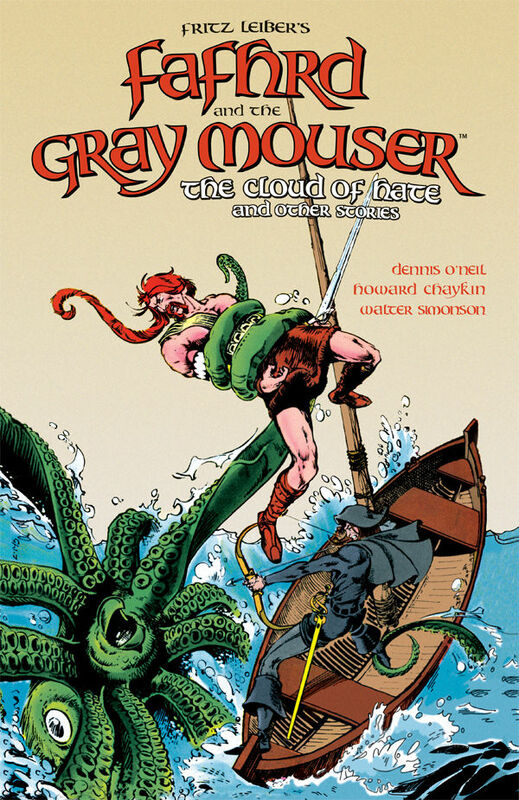 Created by one of the founding fathers of -and coiner of the term – “Sword and Sorcery” Fritz Leiber, Fafhrd and the Gray Mouser were an unlikely duo of heroes: a hulking barbarian who excelled in swordplay and an ex-apprentice magician turned thief well known as the most accurate, and fastest, knifeman in the ancient world. But theirs was a partnership that worked, as their paring brought together the disparate elements of the genre; the brutal savagery of combat and the shrewd, sharp intellect necessary to evade capture, enact vengeance on their foes and inveigle their way to victory by fair means of foul. And the fact that Leiber was a great writer and knew how to spin a tale or two didn’t hurt either.